The Boeing B-47 Stratojet was USAF’s first all jet bomber built in Dec 1947 to fill the gap between the B-29 and B-36 (which were propeller driven aircraft) until the brand new B-52 Stratofortress came along in 1955. 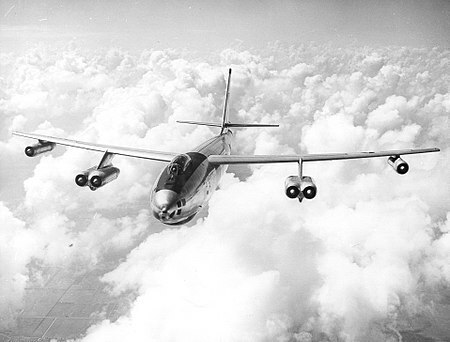 The B-47’s primary mission was to drop nuclear bombs on the USSR. While the B-47 was on alert until the early 1960’s, it never was used in combat. 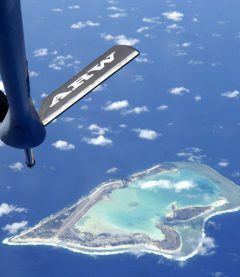 It had a long life of service with USAF starting in 1951 and finally as a test bed until 1977.